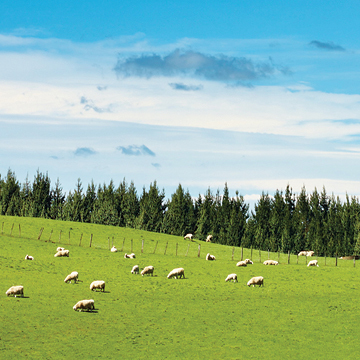 CAA - Multi is specially formulated by New Zealanders, for New Zealanders. It contains all the minerals known to be lacking in our soil as well as important vitamins and antioxidants that are missing from our food and diet. 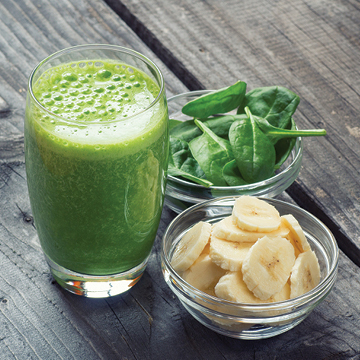 It allows your body to heal itself of numerous health problems by providing all the minerals and vitamins it needs. 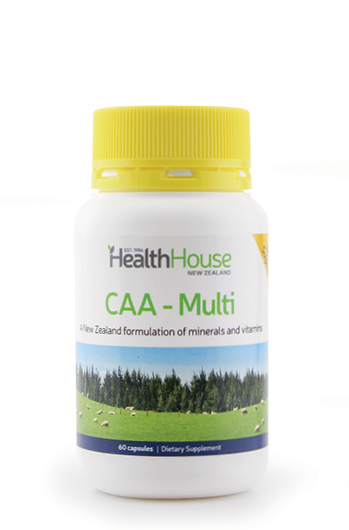 CAA - Multi contains the correct balance of the finest quality minerals and vitamins for optimum health and will supply you with half your recommended daily intake (assuming a normal diet). 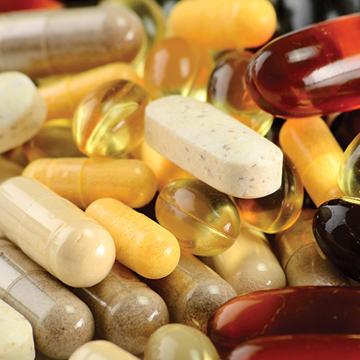 It is your daily insurance to make sure you have all the minerals and vitamins needed to maintain a healthy life. CAA-Multi is also available in non-iron (blue lid) and non-sulphur (yellow lid) formulations. Really pleased with the new formulation of CAA, much gentler on my stomach. 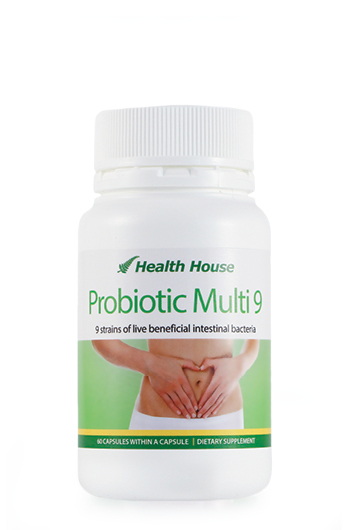 I am fit and healthy at eighty five years of age and have been taking Health House CAA Multi for about ten years now. I am a retired roofing contractor and suffer from lower back, knee and elbow joint stiffness and discomfort. I had tried Glucosamine tablets until 2 years ago my brother told me about CAA Multi. This morning I have just finished a small roofing job to help out a neighbour which would have been almost impossible back then. Also I had a split thumb nail which refused to grow out (it had been like it for over five years). This has now grown back and is completely normal again and all of my nails are growing better and look so much healthier. I don't know what you put in CAA Multi but it sure works for me. Many thanks. I would like to add that due to unforeseen circumstances I was unable to access my capsules and within 6 weeks my thumb nail began to separate again. Thank goodness all is back to normal now with only 4 weeks back on the CAA Multi. By the way you have my full permission to use my testimonial; your CAA Multi product works! I don't eat red meat, and have been told by nurses that I will become low in iron or B12. I am delighted that both my B12 and iron are at really good levels. This was a concern for me, but I am very happy and attribute these levels to the CAA Multi. Before taking CAA Multi I found it hard to get out of my armchair and now I feel a spring in my step and have no problems rising from my chair. I'd never heard of CAA Multi until I started doing voluntary work at an Op Shop about 6-7 years ago. All the ladies there were a lot older than me and said they couldn't cope without their CAA. I found out they all had 'joint stiffness' and were on the CAA to be able to function. I have 'joint stiffness' in my feet and fingers. It's an amazing product that I keep highly recommending! Cheers. My husband and I are feeling so much healthier after taking CAA Multi. I sleep so much better and as for my husband, he isn't up and down to the toilet half the night and therefore sleeping well. Great product, very pleased with the results.